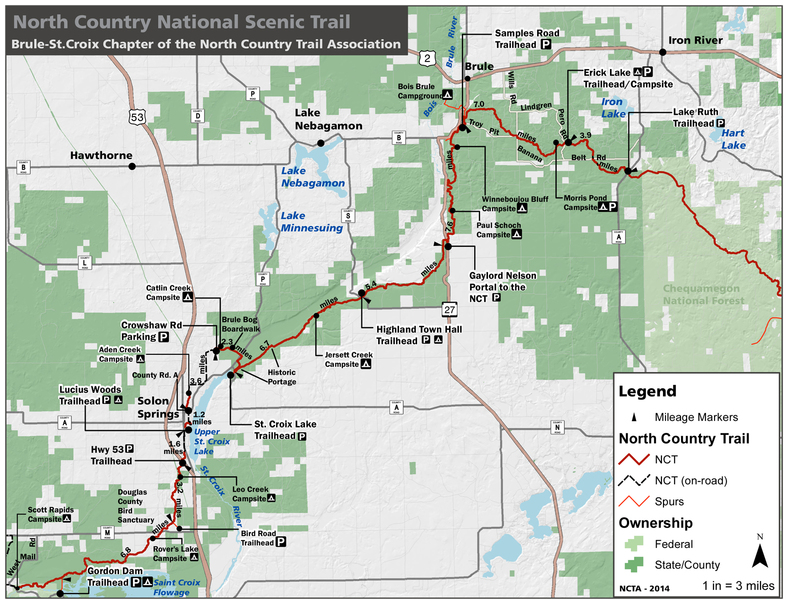 The North Country Trail meanders all the way from Maine to North Dakota, in some cases incorporating existing trails like northeastern Minnesota’s Superior Hiking Trail. When completed, it will be 4,600 miles long. It’s administered by the National Park Service in cooperation with state and local agencies like the WI DNR, and nearly all trail building and maintenance is done by volunteers. Although the trail still includes gaps where hikers are forced to settle for paved and dirt roads, the trail sections already completed include more miles than the entire Appalachian Trail. A couple hundred of those miles are right here in our own corner of Northwestern Wisconsin. It’s a vastly underutlized recreational opportunity, and I’d like to help spread the word. Some great stretches of trail can be found in my own neighborhood, right near Gordon and Solon Springs. One stretch, for example, traverses the Douglas County Wildlife Management Area, known locally as simply The Bird Sanctuary. 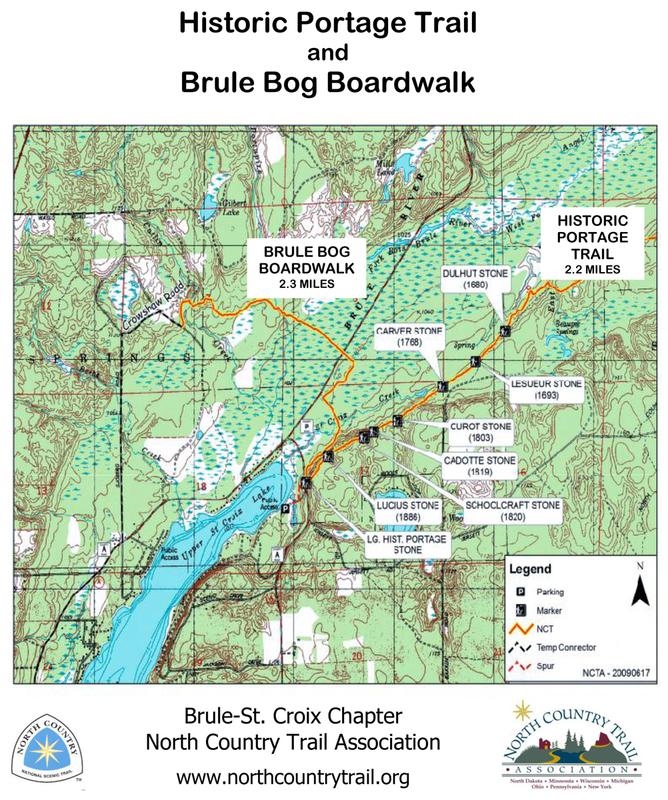 Here, courtesy of the Brule-Saint Croix Chapter of the North Country Trail Association, are two downloadable maps. The first is a map of the entire area. The second map is a guide to one segment that’s especially interesting—the Historic Portage Trail and Brule Bog Boardwalk. If you’d like to explore on your own, these maps will help you get started. So far, however, detailed maps and directions to trailheads are still hard to come by for most stretches of the trail. Watch this space; you’ll soon begin seeing them here.